Being a medical doctor and world renown pediatrician, as well as an author of many health books, does not automatically make you immune from disease. Dr. William Sears had spent his entire career helping patients and their families get well and stay well, only to learn one day that he had stage 3 colon cancer. He was very lucky that it had not metastasized and he is the first to know that he should have paid closer attention to his diet and lifestyle and the sign of rectal bleeding. He thought it was just attributed to hemorrhoids. His wife of over fifty years, Martha Sears who is a nurse, made him get checked. Dr. Sear’s parents both died of colon cancer. When he finally got checked, he was rushed into surgery where physicians removed .5cm of his colon and large intestine. He then went through both radiation and chemotherapy. Obviously Dr. Sear’s diagnosis and cancer treatment frightened him and his family. It was a huge wake-up call. During the doctor’s recovery, he did a lot of soul searching and knew he had a lot to live for. After returning home from the hospital and going through the standard therapy of radiation and chemo, he began to do research. His turning point happened when he was taking a walk through the park one day. He said to himself, “Healing cancer begins in the head.” His thoughts continued… ”If I know I can heal from cancer, then I will.” These thoughts followed with Dr. Sears figuring out the necessary action steps he needed to take to beat the disease and make sure it did not return. The headspace or mindset of an individual is critically important to begin the process of lifestyle change. He innately thought he had to make major changes to stay alive and have a good quality of life. During this time of healing in 1997, at the age of 58 the mind-body connection was just getting popular. He began to study people who had healed from cancer and wanted to know what changes they made to become healthy and remain cancer free. He came to the realization that what the medical doctors did for him was only the half of it. He knew that his life style had to be totally revamped. No longer could he, “burn a big one” (have large charred steaks) as he did for many years. He had to slow down the rate at which he gobbled down his food and radically shift his diet to include more fruits and veggies (or better yet, veggies and fruits). He could no longer be sedentary and needed to implement both exercise and other stress reducing activities such as meditation. This newfound attitude had to remain intact with the belief that he would heal. He adopted a new motto- “Make health your hobby”. connection between the brain and the gut. The gut is called our second brain. Chemically our brain sends messages to our gut to heal. Looking at the condition of our micro biome (bacteria in the gut) and changing what we consume, will help to heal a myriad of conditions and disease. Once Dr. Sears formed the right mental attitude, he knew that he could effect the quickest change through his diet. Due to the fact that cancer is on the inflammation spectrum of disease, he knew he needed to remove highly inflammatory food substances from his diet. He removed all sugary drinks including soda and juice along with all artificial sweeteners. He removed all processed foods and began to eat only “real food”, foods that grow in fields, swim in the sea, run on the land and spend very little time in factories: and most of them do not have a food label. Eating real food and not too much at any meal allowed Dr. Sears to implement a grazing lifestyle. No longer does he eat 3 square super sized meals. He eats several small portioned mini meals throughout the day. This allows his body to always have steady blood sugar. Part of the problem with many diseases today is a blood sugar regulatory issue. He also takes his lifestyle one step further by practicing his, “rule of 2’s . The rule is, eat twice as often, eat half as much and chew twice as long. After implementing this lifestyle, he realized that after a lifetime of over-eating and consuming food at great speed, he is satisfied by much less and craves healthier items. Seafood: Eat two fistful portions, twice a week. Smoothies: Add protein, fruits and veggies. Snacking: Eat a balanced snack between meals to keep blood sugar steady or eat six mini meals a day. I asked Dr. Sears if he thought people could heal from late stage cancer. He believes that they can if they first and foremost have the belief that they can. He went on to share information about the immune system. He said it is important for us to strengthen our immune system and to have it functioning optimally. He explained that in our bodies we have natural killer cells called NK cells. They act like little pac men that circle around the body to eat up cancer cells. The NK cells search for terrorists and shoot chemicals at cancer cells. Your body heals when the killer cells outweigh the cancer cells. One of Dr. Sear’s colleagues, Lew Ignarro, a UCLA professor of pharmacology shared with Dr. Sears that inside our body is a natural pharmacy. Our bodies are capable of making our own chemotherapy. Through the Dr. Sear’s, “Show me the science” concept and his own revamped health, he put two and two together. How you feed your cancer cells is of utmost importance to healing. 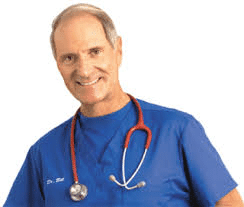 Through lifestyle change and eating a nutrient dense diet of real food, Dr. Sears healed himself. He is a living testimony that personal lifestyle change reversed his cancer. It is now 19 years later and he is still cancer free today. His message to all cancer patients as well as others healing from any disease is having the belief that you will heal is the first step. He wants everyone to know that your body has an innate power to heal and one day at a time you will intuitively know what you need to do to regain your health. To learn more, go to http://www.askdrsears.com/. I highly recommend reading the book he wrote called Prime Time Health. 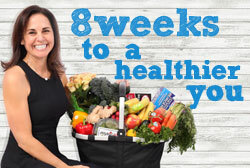 It’s a book that gives you the tools for lifestyle change so you and your family can live healthier and stay well. These concepts change families, one person at a time and collectively will change health outcomes for future generations.